When wading into the internet for your plumbing business, there is one thing everyone knows they must get immediately. This one thing is a fantastic, optimized website. However, one of the first mistakes many businesses make is to sacrifice quality SEO optimization for immediacy. We’ve compiled a list of the top 3 ways not to build your plumbing website. You may have come across this already while scoping out your local competitions website. Plumbing website A has some fantastically in depth information regarding drain cleaning that is sure to draw in sales. Meanwhile, Plumbing website B has the exact same page, information and bolded text. This is clearly duplicated content and it is lowering their ranking with Google. How Google works is, when new websites pop up, Google automatically checks it against what it already has listed in its search pages. It looks at content and keywords. When you have content like Plumbing website A and B, whether it is optimized for plumbing or not, Google deems it as not new content. This actually lowers your ranking. Unique content gives Google new information, and it places your website accordingly. Many plumbing websites think optimizing their plumbing SEO is as simple as dropping the word “plumber” and its many conjugations throughout your content as much as possible. This does not strengthen your ranking but, in fact, weakens it. When your website is reviewed by Google and other people, having an excess of one particular word does not tell them, “I am a plumber and my business is plumbing.” Google checks it as a trick or that you are trying to manipulate the system. This reflects badly upon your website. The best way to get the information out there is through unique content and plumbing related web design and SEO. The careful and exact placement and usage of keywords and terms tells Google that you are, in fact, a very serious business. This is a web design and content flaw on two fronts. On one hand, you may think that linking to your material distributor’s plumbing website is a fantastic idea, letting people see the product and quality ahead of time. What this is really doing is taking your traffic away from your site entirely, as people are leaving and going to the distributor site. For Google, they check these links and see where they lead. When you have a bunch of links going everywhere else on the internet, Google believes that you are a paid directory, meaning your website is only there to send people to other websites. The best way to use linking is through, much like keywords, careful and purposeful internal linking. This allows people to navigate your website easier to find the services they are seeking. 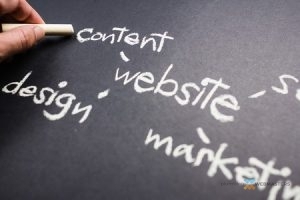 When building your business’ plumbing website, you want to be sure to craft unique, carefully planned content that will be registered as such with Google. Google uses this content, along with over 200 other factors, to place your plumbing website within its rankings for similar sites. Make sure you have a strong social media presence as well, through blogging, Facebook, and other social mediums. With all these aspects to having a rank and building an online presence, it can be a little overwhelming. Give us a call at (877) 388-9884 and we can get your web presence up and running.